Copenhagen is just one night away from Oslo. The DFDS operates a ferry daily from Oslo to the Danish capital. January and February is budget time, where you can get a real bargain. I and my sister have booked a 48 hour cruise for a little over €20, roundtrip!!. What is included in this price? Double room two nights, but no breakfast and ofcourse no free champagne. 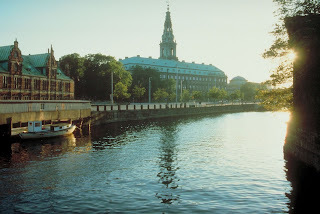 So in February I will give you stories a from a cruise along the Kattegat to "Kongens København".